Successful segmentation depends on understanding what consumers need, how groups of consumers differ from one another, and how consumers decide among products. Marketing Research Blog Analyzing Access: How to Transform Your Innovation and Analytics Strategy to Win in the Subscription EconomyNo one can deny that all of this change puts customer needs front and center, and if you weren’t a customer-centric business before, you’d better be now. The days of not knowing your customers are gone. Subscription businesses, by their very nature, start by attacking unmet customer needs, building a solution to meet those needs, and then growing loyalty with each interaction. Marketing Research Blog Risky Business, Statistically SpeakingStatistical significance testing is fraught with danger. “Getting it wrong” can translate into suboptimal business decisions at best and financial loss at worst. Those who dare venture into the morass of Greek letters and complex equations should become familiar with its perils, especially the likelihood of making an incorrect conclusion. Marketing Research Blog Driving Business Success With Market InsightsTop executives down to product managers, are not using marketing research to realize the full potential of their products, brands, and companies. Here are some thoughts on making the most of marketing research data. *Source: Prevision Corporation's Annual Quality and Value Benchmarking Surveys among Corporate Research Buyers. Short informative videos market segmentation issues based on our knowledge and experience over 40 years. 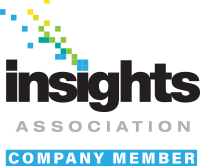 Decision Analyst Insider Series informative webinars for Marketers and Marketing researchers.